Clubs - Neptune Ski Club. Neptune Ski Club, water ski show at Lewiston Water Front. 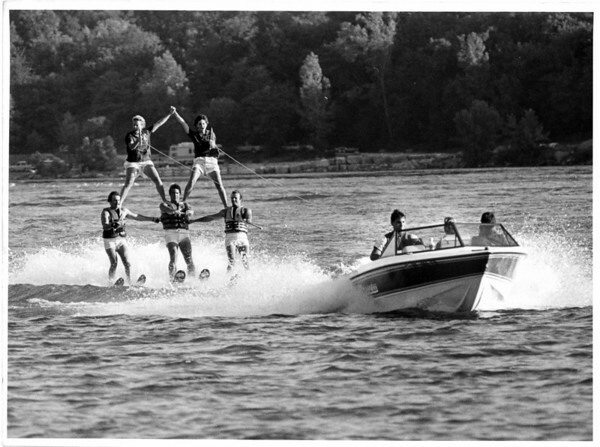 Members of the Neptune Ski Club preform a pyramid on skis. Top left to right - Karen Pascoe, Debbie Valenti. Bottom left to right Paul Hempel, Don Wilke, and Craig Grier. Driving the boat is Mike Woodward. Photo - By James Neiss - 7/4/1988.